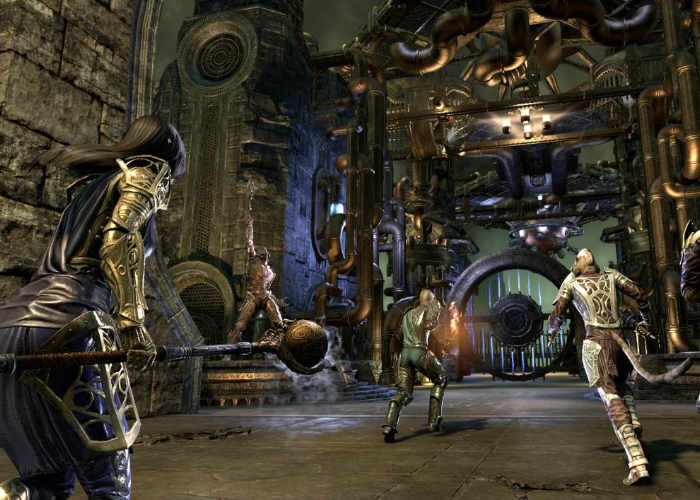 Elder Scrolls Online console gamers patiently waiting for the arrival of the Clockwork City expansion pack, will be pleased to know that it is now available to download from PlayStation 4, Xbox One as well as PC. Providing gamers with a new zone to explore, exciting news story quest line as well as a new trial to challenge your team. Other features include the addition of the Transmutation System, that allows you to change item traits, as well as free Scintillant Dovah-Fly and the platform-specific Brassilisk pets. The Clockwork City DLC game pack is now available to download and is free to those with an active ESO Plus membership. If you don’t have a membership it can also be purchased via the in-game Crown Store. Check out the launch trailer below to learn more about what you can expect from the latest expansion in the ever-growing The Elder Scrolls Online game. A mysterious Daedric conspiracy threatens the Clockwork City. Enter Sotha Sil’s realm and explore a mechanical world unlike anything else in Tamriel! Experience an all-new zone, a unique storyline, a new, challenging Trial, new daily quests, and more. Journey into Sotha Sil’s Clockwork City, a great and intricate mechanism that duplicates Tamriel in metallic miniature. Take on two dangerous world bosses, explore new delves, and complete daily quests to earn a host of unique rewards. Something is amiss at the heart of the Clockwork City. Enter this mechanical wonderland and uncover a Daedric plot that threatens not only the Clockwork God’s creation, but all of Tamriel. This new story quest line is similar in size to those found in the Dark Brotherhood or Thieves Guild DLC game packs, providing an exciting adventure for both new and old players alike. Ready for a challenge like no other? The Asylum Sanctorium is an all-new 12-player Trial with a unique twist: you decide how difficult you want the experience to be. With the best and most powerful rewards offered for the greatest challenge, how will you take on the Sotha Sil’s failed creations? Jump over to the official Elder Scrolls Online website for more details and purchase options via the link below.